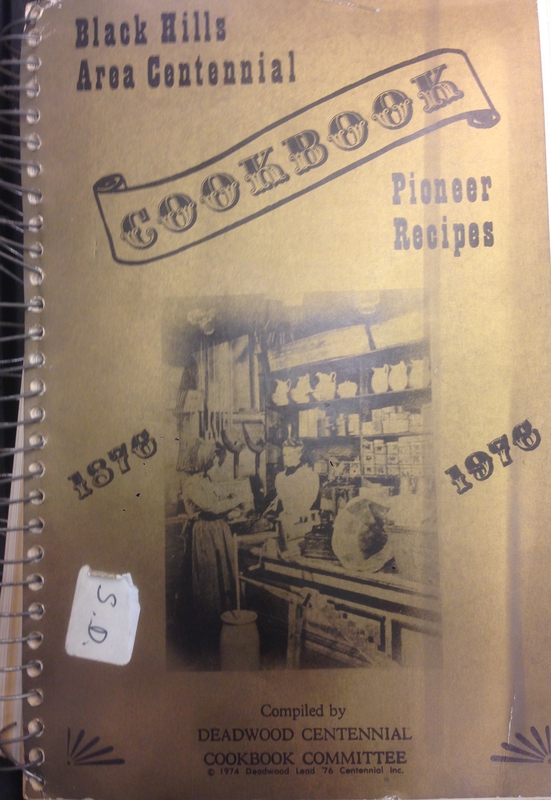 The latest from the Fales archives: this Black Hills Area Centennial cookbook, compiled on the occasion of Deadwood, South Dakota’s hundred year anniversary. There’s something wonderful about this spirit of making do under difficult conditions. That kind of imagination often leads to the development of delicious food. (Relevant here: Dan Barber’s argument that great cuisine springs from agricultural hardships.) 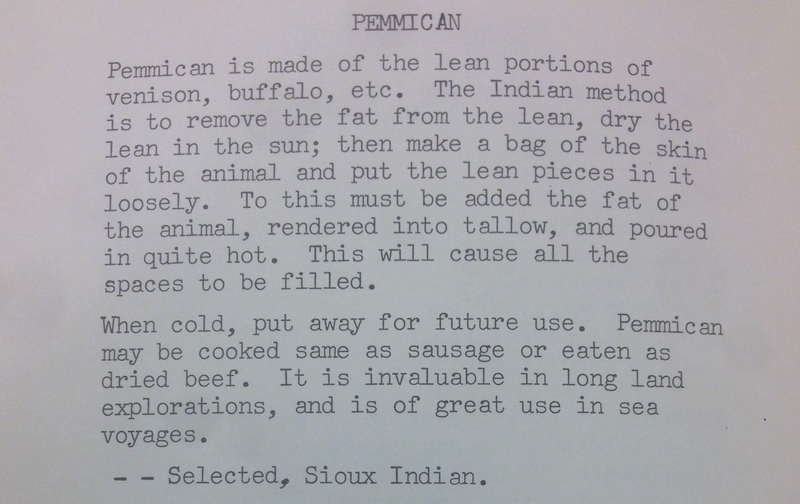 Other times, it just makes for fun recipe reading. This, for instance, is a pretty ingenious idea. And this cake completely captured my imagination. Line the cake pan with “writing paper” — boil water & sugar “until it hairs” — measurements by the “teacupful”. Written in English, yet requires translation (like Chaucer, only much more modern). Fascinating! Sounds like it would taste good, too. the early settlers. Hey, if it wasn’t for beans, those of us living west of the Mississippi river probably wouldn’t even be here. If you were a good cook, you were undoubtedly the second most valued person in the wagon train, next to the “scout” of course. Having been raised on the border of MN-SD, I had to have this centennial Black Hills treasure. I found a used edition on Amazon for a song. More curious and satisfying reading! I am looking forward to kitchen robots. Kind of. Awesome post- such interesting recipes. I’m wondering if you have any recipes for ground antelope or ground goat? I’ve been looking online but so far haven’t found anything really appealing. I was thinking of making the antelope into tacos?? 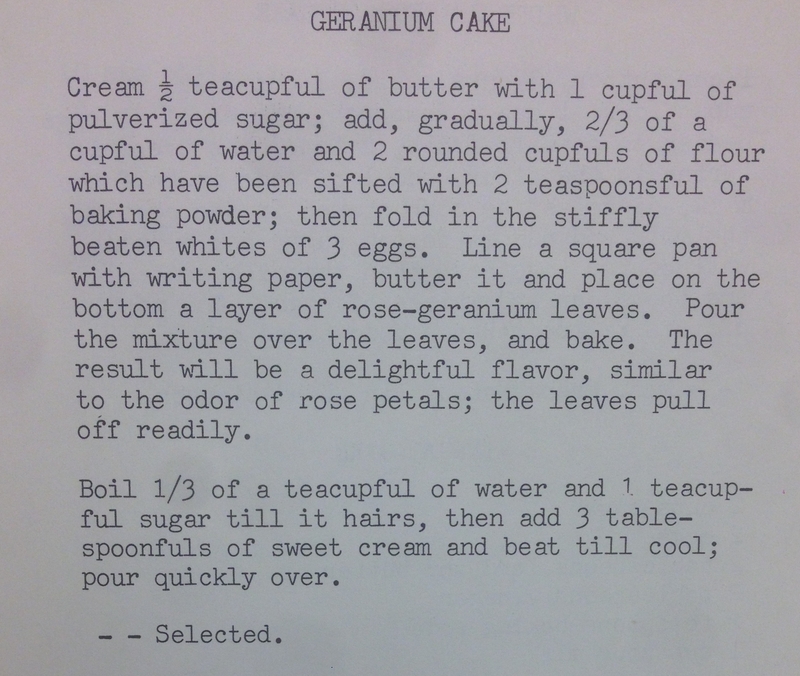 I have made rose geranium cake and it is delicious. Rose geraniums have become harder to find, at least in western Pa. There are “citronella” geraniums which actually do nothing to keep insects away and in fact can attract them. I have been keeping an original rose geranium plant alive with cuttings…they root easily.